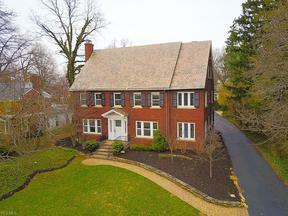 Shaker Heights Ohio Homes for Sale – Shaker Heights Ohio is a very unique area minutes from downtown Cleveland. The architecture of the homes, sidewalks and buildings around town are gorgeous. There are mansions that line streets such as Coventry and Shaker Boulevard that are sure to catch your attention. Residents love the close proximity to downtown, cultural centers, chic restaurants and shopping. There is a huge sense of community in Shaker Heights accompanied by great school systems and athletic programs. For those who work in the medical profession, Shaker Heights would be a great option. The main campus for the Cleveland Clinic is less than ten minutes away. There’s history to explore at the Shaker Historical Society. There’s plenty to do within the community plus residents have the advantage of downtown Cleveland at their fingertips! 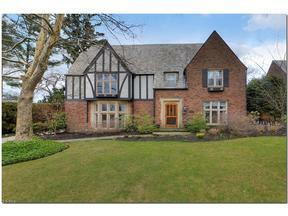 Search below for Shaker Heights Ohio homes for sale. Contact our sales team for more information about Shaker Heights Ohio homes for sale.